Our time at TT Peace River is coming to an end and we will be heading back to TT Orlando on Thursday. The park here is starting to fill up and I expect things will be a little busier by the time we return on for another visit on January 5th. I’m not quite sure what will happen in the lower meadow portion of Peace River. In past years, once the park got busy, new arrivals were directed to meadow area for a few days on a 30 amp non sewer site before being able to move up to a full hook up 50 amp site for the rest of their stay. Recent flooding of the river has rendered some of the meadow sites unusable so things could be a little busy if reservations prove to be as numerous as in years past. The park has changed quite a bit since we were last here. The store is not nearly as well stocked and the small on site restaurant that used to make great cinnamon buns and breakfasts appears to be closed. The pickleball courts are in pretty good shape but the night lights don’t cast enough light to make useful for playing after sunset. I’ve been playing most mornings and this morning was the first time during our two week stay that we had enough players for two courts. We’ve been in touch with our friends Stan & Sally who are staying at Torrey Oaks RV Resort just up the road in Bowling Green. Some of us went up there to play pickleball a few times and we were also invited over to their place for a happy hour. I helped Sally teach some of the newer players a few of the finer strategies of the game. Chris has been nursing an insect bite on one of her toes. The swelling has prevented her from wearing socks and any close toed shoes for about ten days but she is back to normal now and played pickleball at Torrey Oaks the other day. We also popped into Tanglewood in Sebring yesterday to say hi to Bob & Cathy. They have given up their Thousand Trails memberhip and are on the last year of their annual stay contract at Tanglewood. It was great to catch up and we promised to get together for a happy hour once we are back in Wauchula in the New Year. I’ve spent quite some time working behind the scenes on our blog the past few days. Using the WordPress plugin, WPTouchPro, I’ve managed to tweak our blog so it looks pretty good in most mobile platforms including, iPhone, iPad, Android, Blackberry, PalmOS and Samsung. I’ve also reworked the blogroll feature of the desktop version of our blog so that all the RVing related blogs we follow are updated in proper chronological instead of alphabetical order and listed in the sidebar. Previously, I used the RSS feed for this feature but it only listed the blogs alphabetically. With the WP Social Blogroll plugin, the time of the most recent update for each blog and a snippet of the entry should now be clearly visible. Clicking on a blog snippet should open that blog in a new window. I’m still working on displaying a link to my photo galleries on our home page and that will hopefully be up and running soon. Temperature and humidity has been high these past few days. We also had some rain the other day but that should not be enough to raise river levels the couple of feet we have seen in recent days. Figuring there may have been a dam opened somewhere up river perhaps. The sandbar where I grabbed the gator shot in the last post is now completely submerged. We took a run into Pioneer Park this afternoon looking for birds and gators. 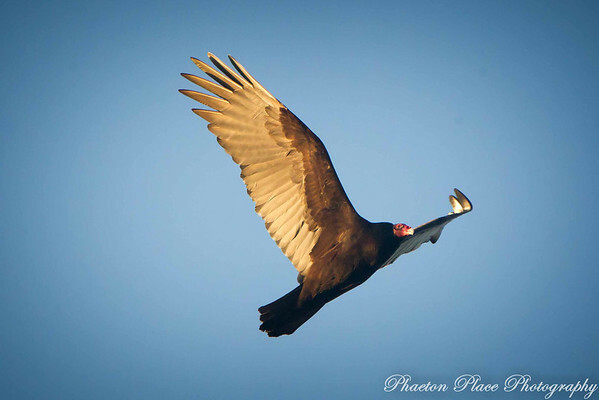 No gators unfortunately but we did see quite a few vultures and I managed to grab a few in flight shots. We’ve been carrying around a 14 lb frozen turkey in our freezer since we left Canada. Chris got it for free at a grocery store and figured we could put it to good use down here. 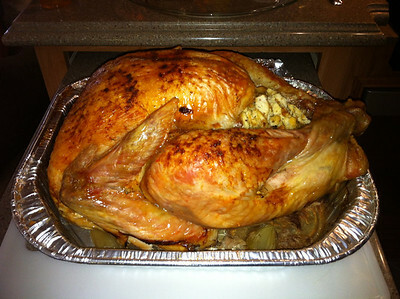 We haven’t cooked a turkey in our convection oven in quite some time so today was deemed “Practice Turkey” day. We invited Bob & Julie over for a mid afternoon dinner which included mashed potatoes, mixed vegetables, baked sweet potato and gravy. The above photo does not do the dinner justice. It was incredible and the best part is we have enough leftovers for at least two more meals. Oh yeah, the carcass is in the slow cooker making soup too! Life is great! 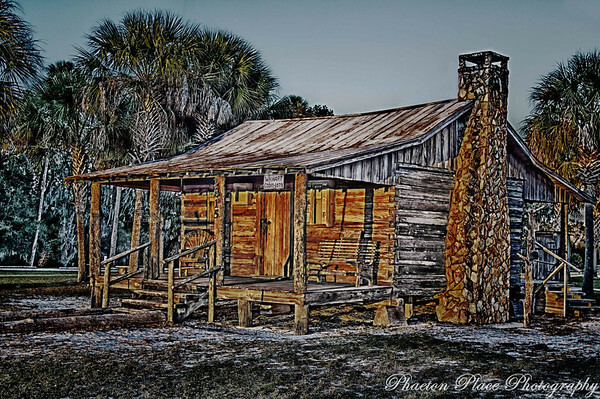 This entry was posted in Campgrounds, Entertainment, Florida, HDR, ipad, iPhone, Photography, Technology, Thousand Trails, Wildlife. Beautiful Vulture shot. The turkey looked delicious and the soup sounds good also. Those pickleball games and happy hours make for some nice days with friends enjoy.